AEK, one of the four teams of the 2019 FIBA Intercontinental Cup, was presented by FIBA. In the buildup to the FIBA Intercontinental Cup taking place in Rio de Janeiro from February 15-17, we take a look at each of the four participating teams. 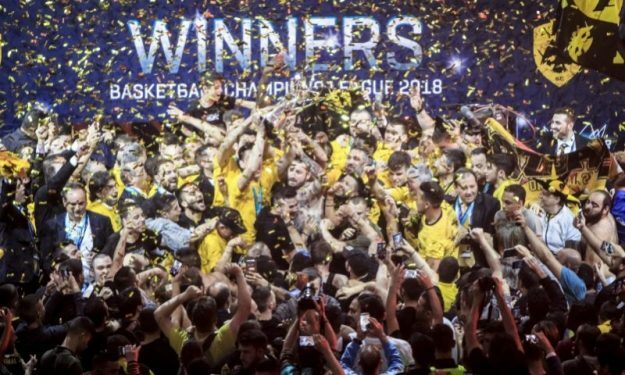 Here, we profile AEK, the Greek club that earned the right to play at the FIBA Intercontinental Cup after winning the 2017-18 Basketball Champions League. A power forward, Hunter has had a tremendous evolution the last two years. 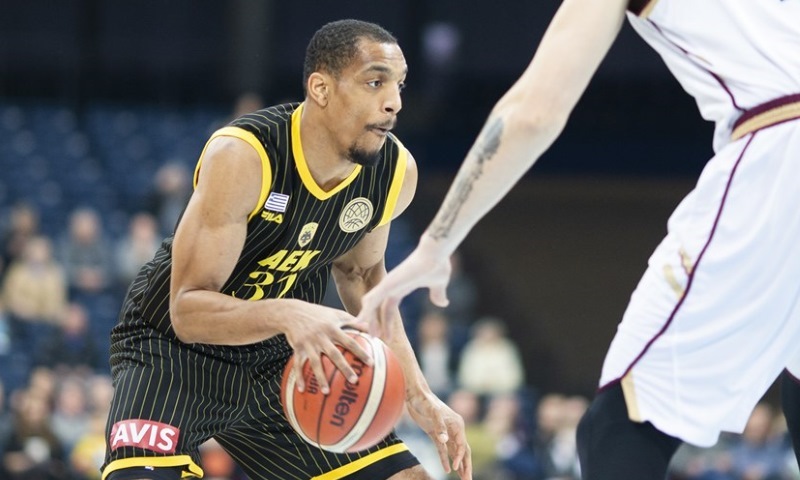 After helping the club capture the Basketball Champions League trophy, he’s been electric in many of AEK’s victories this season with his athleticism, talent and effort. At just 24 years of age, it looks like Hunter’s best years may be ahead of him. He is shooting 69.1 percent (96 of 139) from the floor and averaging 18.7 points and 7.7 rebounds. Hunter has this season been named MVP of the Week on three occasions in the BCL. The captain is a role model for everyone after famously overcoming a life-threatening injury he picked up while playing for Italians Scavolini Pesaro in 2010. Sakota was setting a screen on a defender when he suffered damage to his intestine. After a successful surgery, Sakota took a year off from the game and then battled back to fitness before resuming his career. The 32-year-old was tremendous in AEK’s run to the BCL title last year. A key man in AEK’s Greep Cup success, a trophy that ended a 16-year drought in hardware, some Sakota could have been named BCL Final Four MVP, an award that went to teammate Mike Green. The leader of the Banvit team that reached the Final of the inaugural Basketball Champions League campaign 2017, Theodore was named the MVP the competition that season. He fortified AEK’s backcourt in midseason, giving them a tremendous floor general and scorer as they seek to repeat in the BCL. Part of a rich tradition of Lithuanian basketball, Maciulis is someone whose career has been defined by heart, determination, leadership and wins. He is also a very skilled player who can make perfect bounce passes into the lane or take over games offensively with his scoring. The enduring image of Maciulis is of him crashing the boards for rebounds or diving on the floor for loose balls. The three-time Olympian has been one of the top Lithuanian players of the past two decades. It’s impossible to think of AEK and not conjure up the image of Amerikanos, one of the greatest players to ever compete in Greece. Nicknamed “The Global” because of his surname, which means American, Amerikanos was a big-time player with a huge personality. He was the heart and soul of the AEK team that won the European Cup Winners Cup in 1968. He scored 29 points against Slavia Prague in the Final at the Panathinaikos Stadium, the venue of the first modern Olympic Games in 1896, before a crowd of more than 80,000 people. 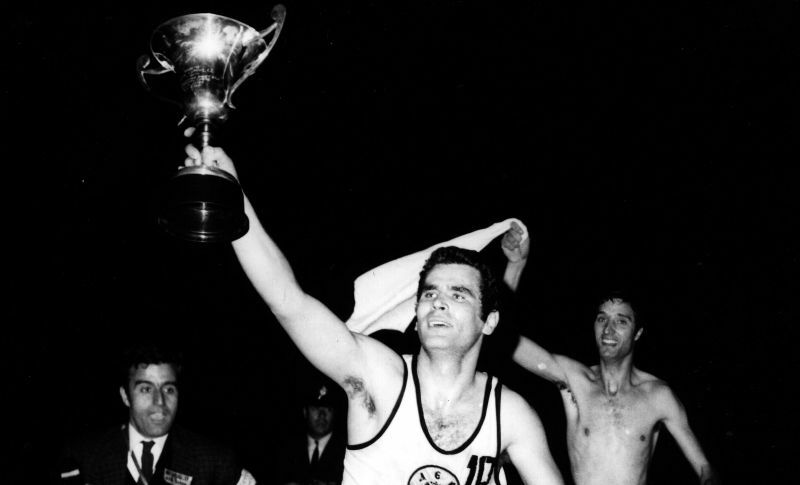 He won six Greek Championships with AEK (1963, 1964, 1965, 1966, 1968, 1970) and was leading scorer of the Greek League in 1965 and 1968. Following his death in 2013, AEK retired his No. 10 jersey. Trontzos was a towering 2.16m (7ft 1in) center who had a lethal left hook shot. 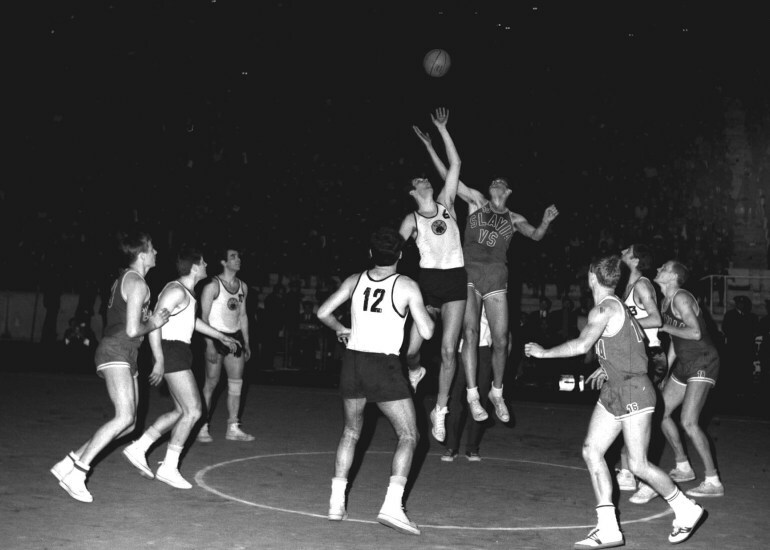 A Cup Winners Cup champion in 1968, Trontzos scored 24 points in the Final game against Slavia Prague, but it was in the Semi-Final tie against defending champions Ignis Varese. 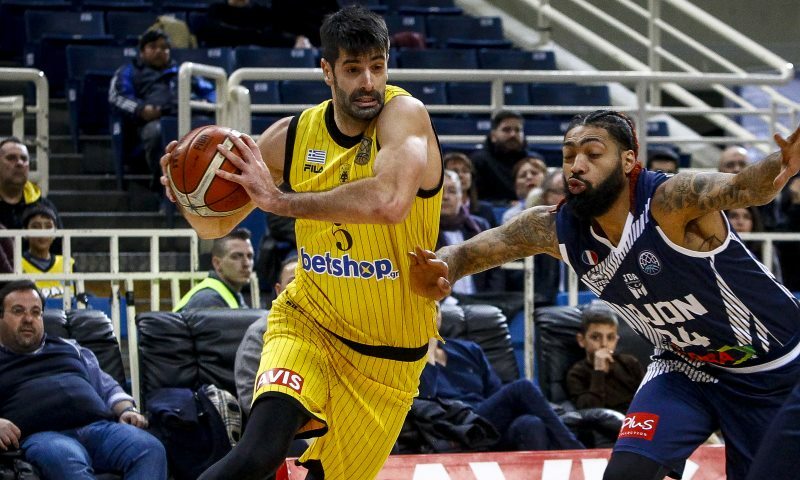 After AEK lost the first game in Italy, 78-60, their hopes of advancing were bleak but in the home leg in Athens, ΑΕΚ led, 72-54, when the Trontzos hook shot put his team in front on aggregate. Trontzos also won championships in the Greece domestic league (1964, 1965, 1966, 1968, 1970). Capped 136 time by Greece, he scored 1,543 points (averaging 11.3 points per game) for the national team. The legendary captain of AEK during the late 1990s and early 2000s, Hatzis signed for the club immediately after helping Greece win the 1995 FIBA World Cup for Junior Men before 20,000 people in OAKA. Among Greek basketball’s all-time leaders in points, 3-pointers, assists and games played. Since 1991, in scoring he is second only to Vasilis Spanoulis with 5,200 points. Hatzis was captain of the AEK team that won the 2002 Greek League title after hitting back from a 2-0 deficit to Olympiacos to claim a 3-2 series victory. (The coach of AEK at the time was Dragan Sakota, who also led AEK last year to the Greek Cup and the BCL trophy.) Hatzis also won Greek Cups with AEK in 2000 and 2001, and the Saporta Cup in 2000. AEK are enjoying one of the finest spells in club’s history. The club is almost a year removed from an 88-83 Greek Cup triumph over Olympiacos (AEK beat Panathinaikos, 73-69, in the Semi-Finals), while eight months ago the team hosted the Basketball Champions League Final Four in front of a roaring Athens crowd and beat UCAM Murcia, 77-75, in the Semi-Finals before knocking off AS Monaco Basket, 100-94, in the Final. 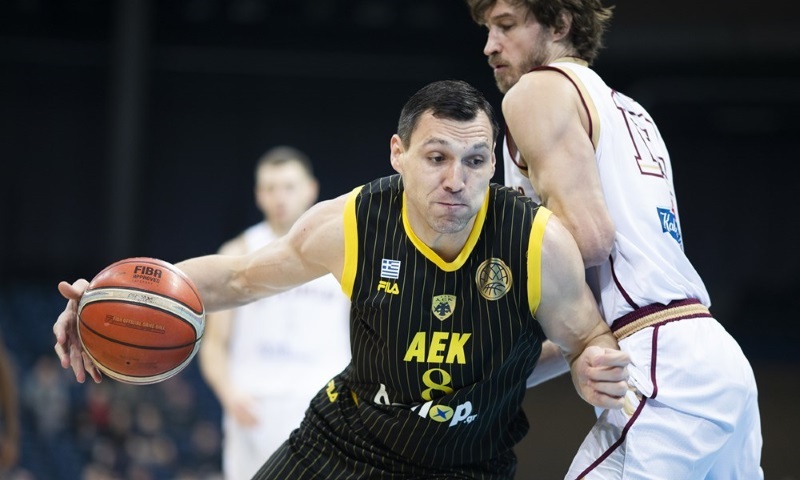 That Basketball Champions League title defense is still on track, with AEK finishing the Regular Season with a 12-2 mark to top Group C. In Greece’s top flight, the team is flying high in fifth place with a 11-5 record. AEK will not repeat as Greek Cup winners, however, with that title defense having been ended three months ago in an 84-82 defeat to PAOK. This is AEK’s first participation in the FIBA Intercontinental Cup.